If you are inexperienced, looking to sharpen your skills or just prefer to have a professional help you with all aspects of your trip, we recommend trying Algonquin Bound's guide service. 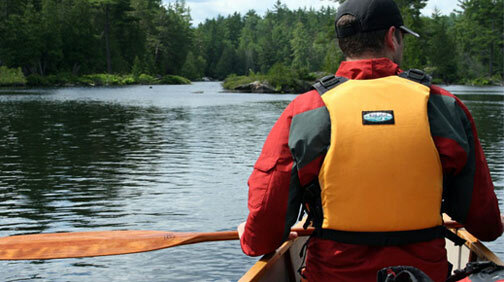 All of our guides are experienced Algonquin Park trippers with first aid certification. They will plan and prepare your meals and help you with every aspect of your adventure. An added bonus of having a guide is that they are well schooled in the history, ecology and geography of Algonquin Park providing a unique educational element to your trip. They will also be glad to help you with your outdoor skills through one-on-one training for everything from making a fire to paddling. For added entertainment, our guides have a wealth of interesting stories and tales to tell around the campfire to help make a guided trip a truly memorable adventure. All trips are customized to your group size, fitness level, interests and special requests and can be as long or as short as you like. Pictograph viewing of ancient native art. The art of animal signs (identifying animal signs the forest). Map reading and trail spotting. Our guiding staff is in high demand, if you are interested please email or give us a call or email as soon as you have trip plans in order to avoid disappointment. 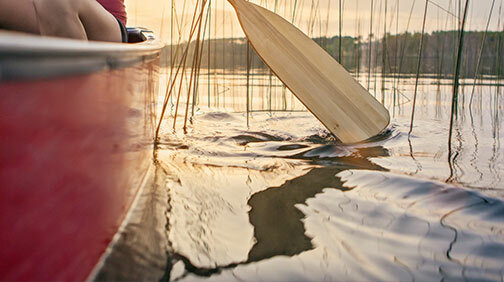 Let us take the mystery out of Algonquin Park canoe tripping. Our experienced Algonquin Park guides will take you on a personalized trip through the park that includes teaching your group more about the exciting aspects of canoe tripping. All your gear and a shore side lunch are included. Our guides can even be used as a first day introduction before heading out on your own for a longer trip. Available by advance reservation only. Smaller and larger group rates as well as children rates are available. Pricing depends on time of year and group size. Please email info@algonquinbound.com for a detailed quote for your group. Designed to be the no hassle way to explore Algonquin Provincial Park, our overnight guided trips are a great way to get in touch with the Canadian wilderness. Our experienced Algonquin Park guides plan and prepare your meals and help you with every aspect of your adventure. Learn more about the history and ecology of the park, learn how to identify animals and animal signs, improve your map reading and campfire lighting skills, share stores and so much more. Available by advance reservation only.